View Basket “Airway Guedel – #0 (Blue) 50mm” has been added to your basket. 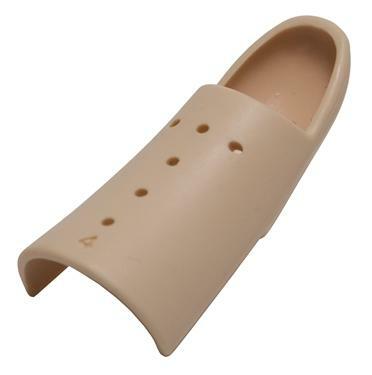 Mallet finger-thumb splints with ventilation holes and a plastic molded fit for patient comfort. Available in a range of sizes. A splint for immobilisation and treatment of a fractured or broken finger/thumb, providing support and protection. Ideal in the healing process of staved/hyperflexion injuries (bent finger back), such as mallet finger. SIZING: Measure the joint circumference of your Distal InterPhalangeal joint (DIP Joint) – This is the first finger joint from the tip of each finger.